data for the tables you create as you complete this exercise. 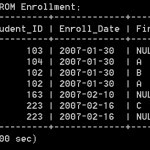 the use of INSERT statements with sample data. You will need to create a script file and name it YourName_Lab3.txt containing the following code. 1. The drop table statements listed later in the specifications of this lab. 2. The CREATE TABLE statements required to build the six tables. 3. The INSERT statements necessary to insert all of the sample data. 4. Six select statements to verify that the data is in the tables and accessible. The following guidelines are being provided to help assist you in creating your script file. o Create all NOT NULL constraints as indicated in the ERD. o Create all PK constraints as indicated in the ERD. o Create all FK constraints as indicated in the ERD. 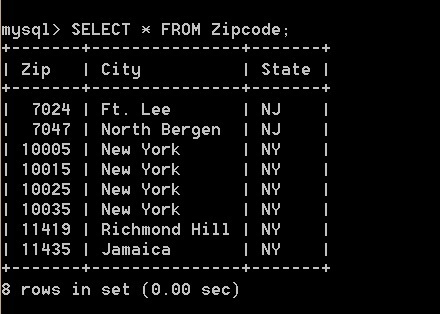  Create all of the tables and all of the constraints before populating any of the tables with data. order to produce a script that runs without errors. tables containing data identical to the expected solution set, or points will be deducted. alphanumeric (remember that any formatting within a numeric string makes it alphanumeric). word NULL into the row. To insert a null you simply use the word NULL. The deliverable for this lab will include the following documents. Refer to the following ERD in constructing your solution. statement. Here is an example of one of the six DROP TABLE statements you will need to create. Step 2. 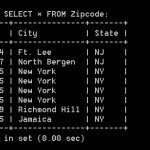 The data for each table is contained in text files, named for the table whose data it contains. your insert statements, but do not change the inherent value of the data. Be sure to save all of the above statements in your script file. way for checking that FKs have been properly created. Do you include the script files with your labs? yes, the script file is there in the solution.